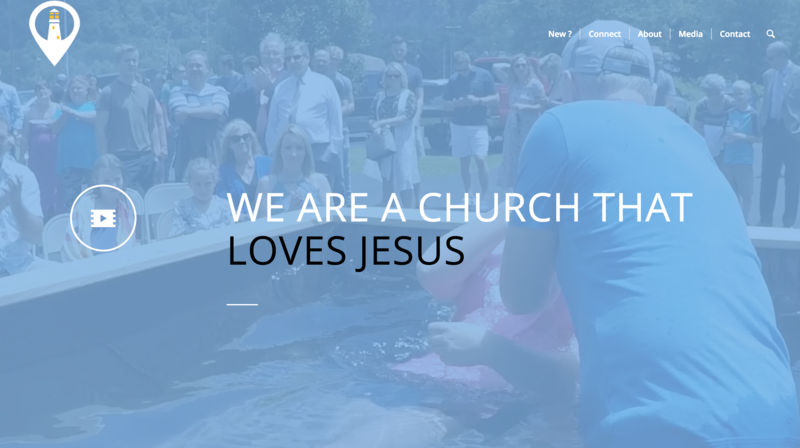 We recently wrapped up a completely new website for Lighthouse of Hope Church in Cumberland Maryland. The new website replaced one that required high annual fees for stock designs. The site was constructed using mobile responsive code that allows it to adjust to the proper screen size automatically. Many new features were added to the site such as looping video background when viewed on a desktop, custom integration for YouVersion Bible App, and the ability to stream from their YouTube page to the website. Another unique feature is the new NEXTsteps Information Hub. There continues to be a downward trend in the download rate of apps to mobile devices as developers are using HTML 5 to make all the features available through a mobile web browser. The benefits include increased retention rate on the client’s page, reduced expenses, and the ability to update information faster. The information hub uses code that mimics the traditional buttons of an app while including forms, surveys, and a special link for secure giving to the church.